ISM 2019: an edition to remember! What an amazing 4 days we had at ISM, Cologne! Wonderful customers, a beautiful new booth, lovely products, positive vibes, inspiring novelties, passionate sales people,… and so much more. Thanks a lot for visiting us! We really enjoyed catching up with you and we hope you’ve enjoyed it as much as we did. Looking forward to next time! Check out our novelties here. 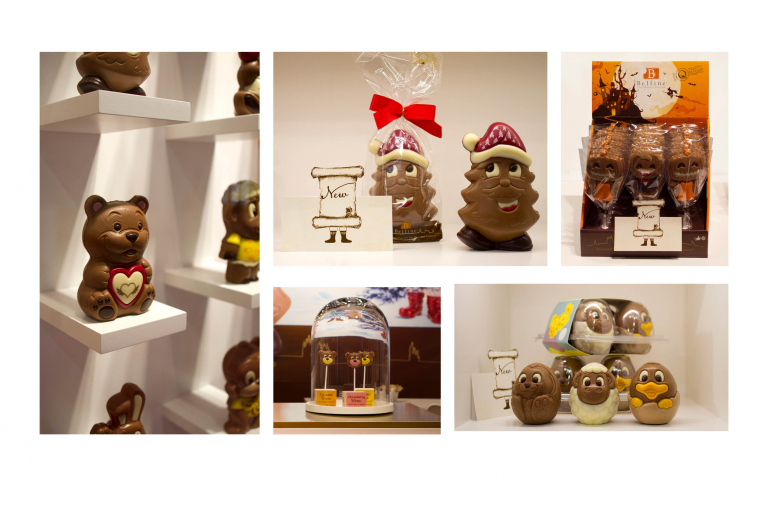 For those who couldn’t catch up with us at ISM: watch the short clip here to relive the great ChocDecor vibes. 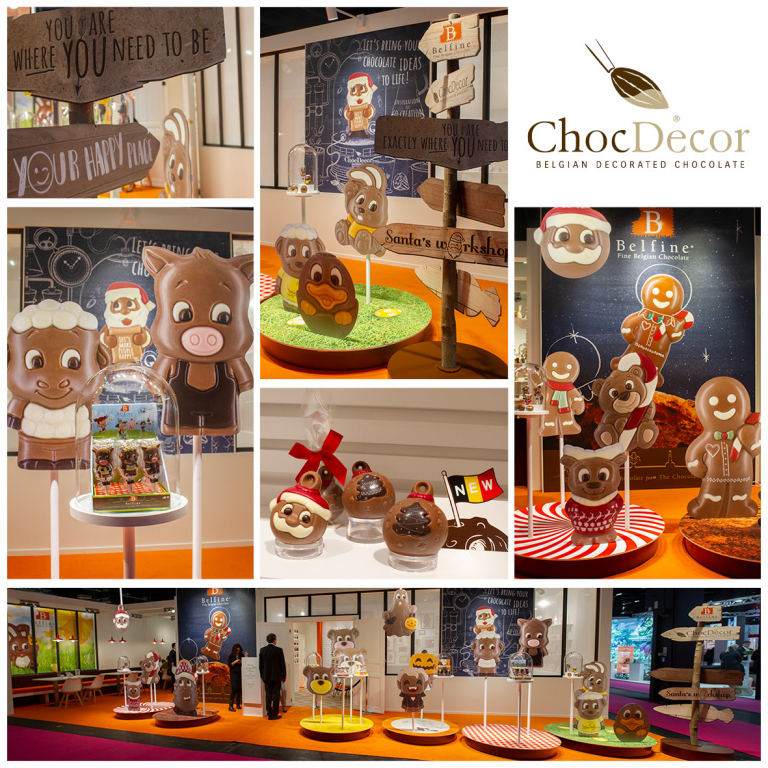 We ‘d love to meet you at our inspiring ChocDecor booth, displaying our new collection of decorated chocolate figurines and lollipops. 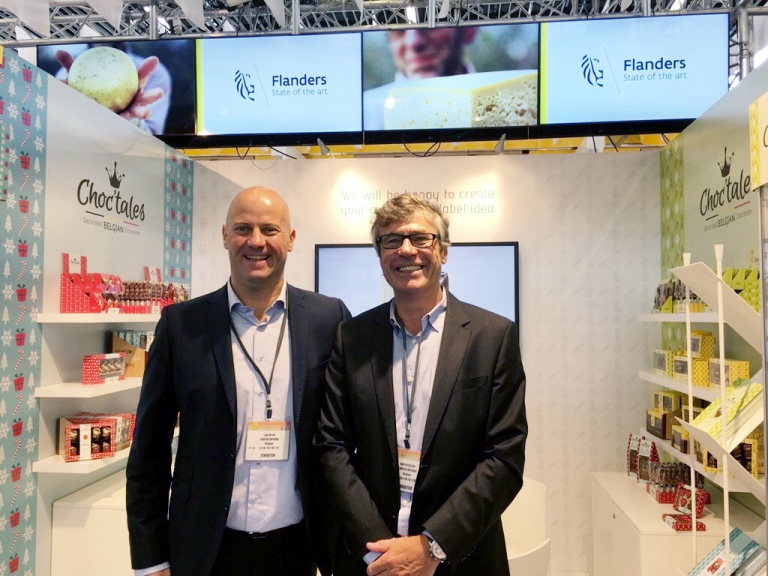 As of January 27th, we welcome you in Hall 10.2, E048 (same place as last year) to discover our Belfine assortment for specialty stores (bakery, chocolate, fine gourmet shops) or discuss your private label ideas in our inspiration corner. 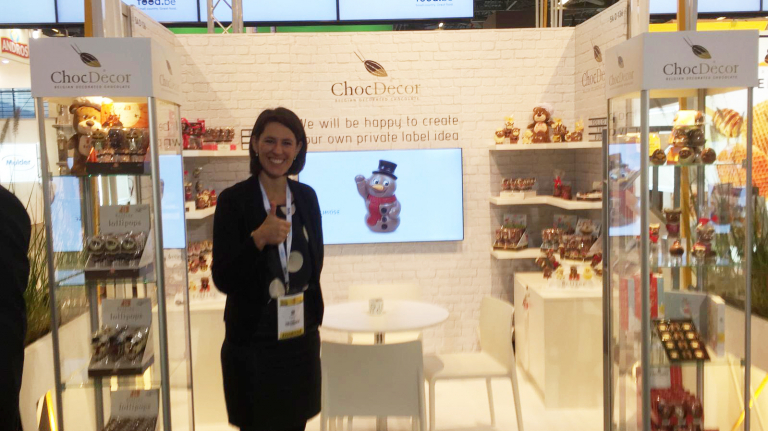 Visit our stand and discover our cute and beautifully decorated seasonal Belfine figurines, lollipops and get inspired by the different private label possibilites. We will be happy to make time for you! 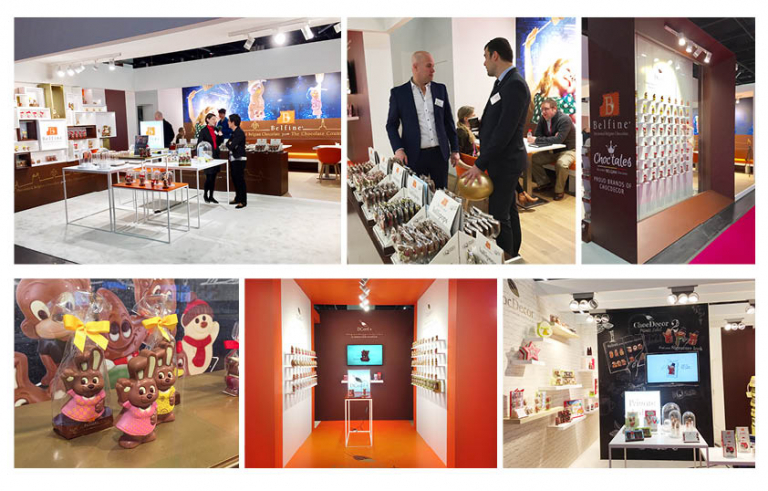 Here’s a small selection of all the novelties that were shown at ISM, Cologne 2018: new DCoré+ figurines and prints, fa-BOO-lous new Halloween lollipops, delicious naturally flavoured lollipops with strawberry, banana and caramel taste, EGG-cited egg figurines and so much more….